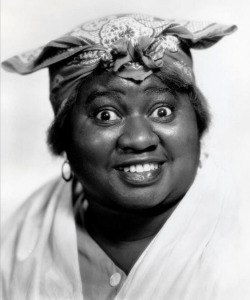 Hattie McDaniel was an actress and radio performer. She also became the first African American to win an Oscar in 1940. McDaniel was born June 10, 1893 in Wichita, Kansas. She was her parent’s 13th child. Her father, Henry McDaniel was a Civil War veteran who suffered from severe war injuries, making manual labor difficult for him. In 1901 McDaniel and her family moved to Denver Colorado, where she went to 24th Street Elementary School and stood out as one of the few African American students. She also had a flair for singing. She sang for her church and school, but little did she know her singing would set off her acting career. In 1934 she sang a duet with Will Rogers in John Ford’s Judge Priest. Other movie rolls followed before she was chosen to be Mammy in the movie Gone with The Wind. Over the years she was attacked for taking the part she wanted in Gone with the Wind and was criticized when she played servants and slaves. Hattie McDaniel was a famous and successful actress who opened doors for many to come.